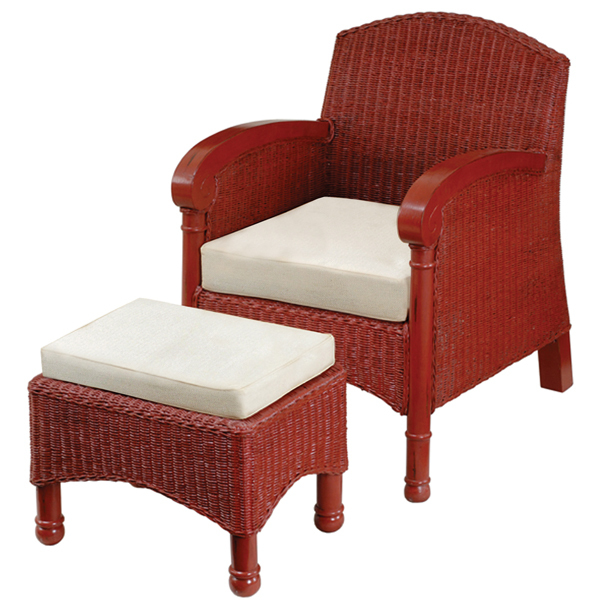 Wicker chair arm chair with matching footstool. 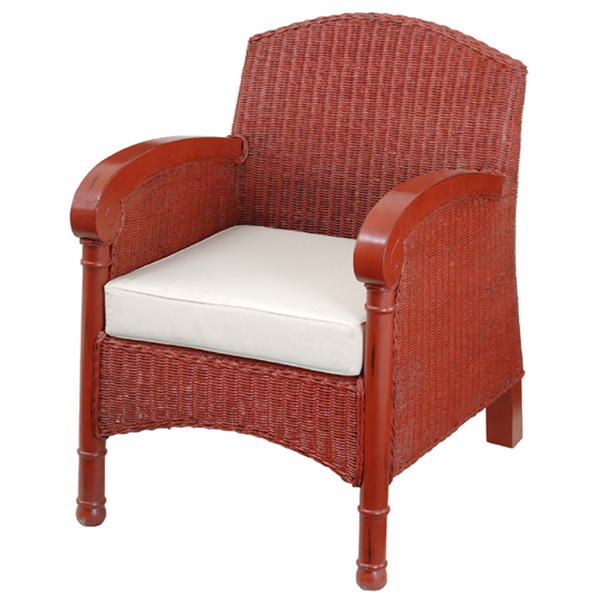 Chair can also be purchased seperatly (see below). Both cushions are included, shown in Linen fabric. Main body shown in Red Heavy Distressed finish. This design is available in 50 different colors, and you may specify light or heavy distressing. Also, this design is available with art work for no additional cost. Custom is our specialty. Click on the buttons below to see color, fabric and art options.